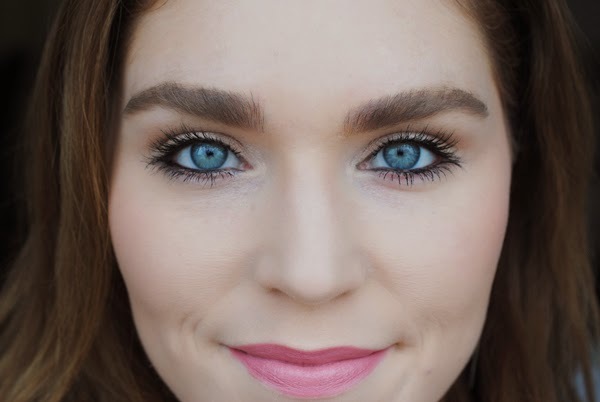 I have another brow product review for my Let's Talk Eyebrows series! 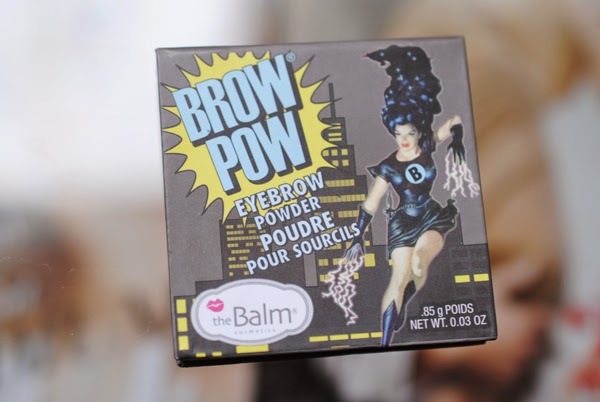 This time, I'm sharing my thoughts on The Balm's BrowPow eyebrow powder. Since I already have full brows to begin with, all I need to do is darken and fill in some spots, so my favorite type of product for day-to-day is powder. For thinner brows that need more sculpting, I would suggest a very thin brow pencil or a brow pomade. 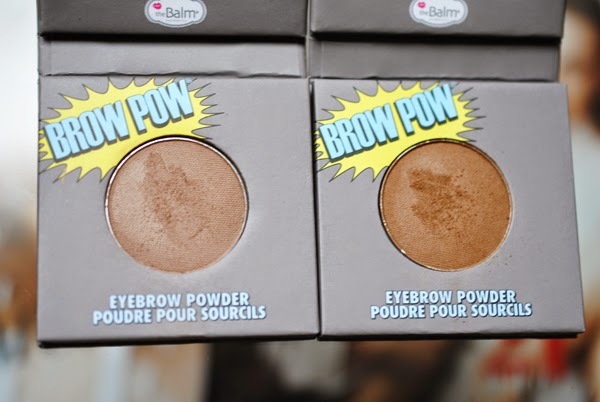 During the last Hautelook The Balm sale, I picked up BrowPow in Blonde and Light Brown. The packaging for all the brand's powder products is a sturdy cardboard that snaps shut with a magnet, and it comes with a mirror too. As you can see in the photo above, Blonde is lighter and leans slightly cooler than Light Brown. I started my brow routine by brushing up the brow hairs using the spoolie end of my Tarte double-ended bamboo brow brush. Then with the brush end, I filled in the tail of the brows with Light Brown lightly and then filled in the start of the brow with Blonde. Then, I brushed through again with the spoolie end, set with my NARS eyebrow gel (which by the way is a must-buy), then brushed through with the spoolie one last time to make sure the gel is dispersed evenly. This whole routine probably took me two minutes max. I highly recommend BrowPow. 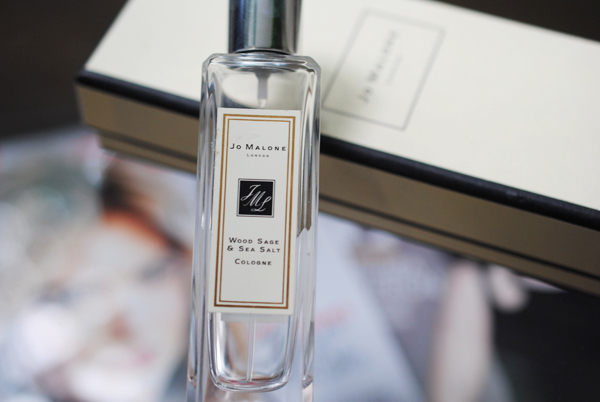 It definitely lives up to its longwear claims! I probably could have gotten away with just buying Blonde, but now that I have Light Brown, I'll definitely be using that shade only for nights out, when I want a bolder brow. The powder played really well with the NARS brow gel, and that combination kept my eyebrows looking strong all day. Be sure to watch out for those Hautelook sales, so you get this and other awesome The Balm products for basically half off! I never hear too much about this particular product, but I'll definitely check it out! I never pay attention to my brows but for certain looks...it's necessary! Also, your brows are perfect! Seriously jealous!